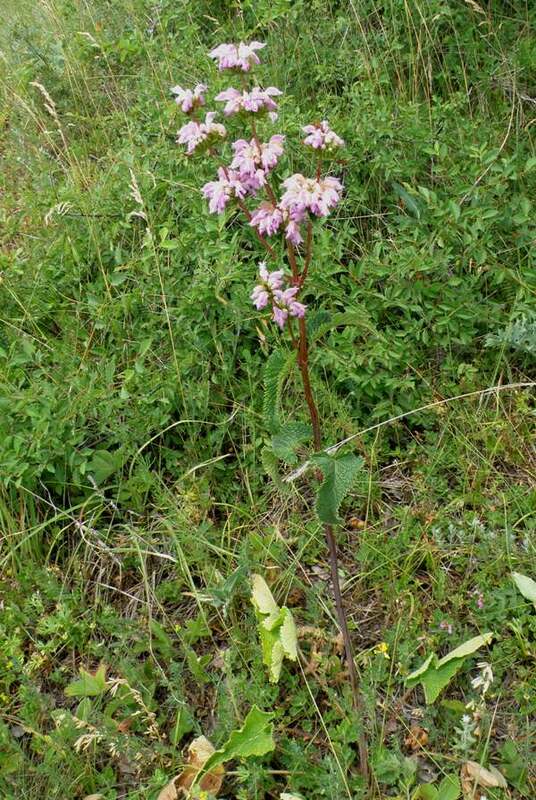 This was a suprising find in a sloping meadow in the Vitosha Mountains National Park in Bulgaria, where a solitary specimen (below) was the only plant of its kind to be seen. This species is sometimes referred to as Jerusalem Sage (a not-so-helpful common name shared with other Phlomis species!) 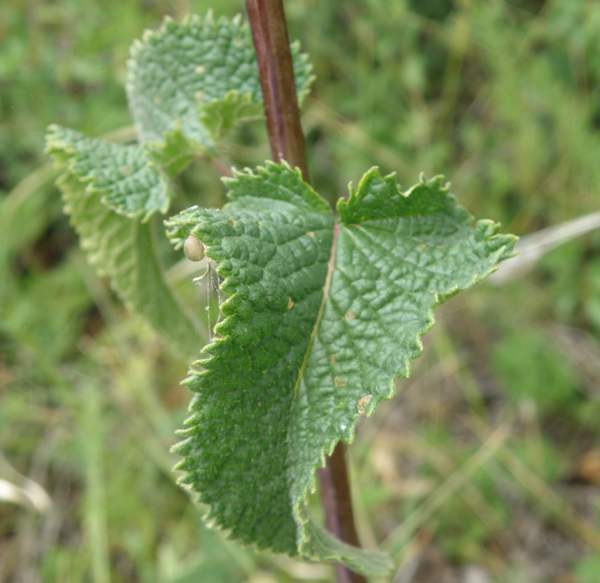 or as Sage-leaf Mullein (equally confusing because other Mullein species belong to a quite different plant family, the Scrophulariaceae or Figwort family). 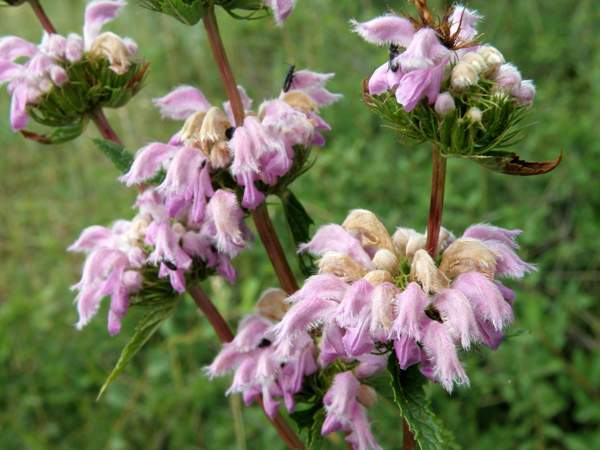 Phlomis tuberosa is quite a tall shrub, growing to around 1.5m, with whorls of rather lacey-looking pink flowers. The square-section stems are dark red or purple, and the dark-green oval to cordate basal leaves have long stalks while those on the stems (see below) are more or less stalkless and are borne in opposing pairs; they are deeply veined and have sharply serrated edges. Phlomis tuberosa occurs in Greece and the Balkans as well as in parts of Asia. This wildflower usually blooms from the end of May until July. The specimen shown here, photographed in Bulgaria, was just about at its best when we found it in mid-June.